Four over two decades, Tom Cruise, has been one of the leading faces in Hollywood that is known for his blockbuster movie roles which have, in turn, put him among the richest. The multiple award-winning actor and producer is best known for his role as Ethan Hunt in the ‘Mission: Impossible’ film series as well as for movies like Born on the Fourth of July (1990), Jerry Maguire (1997), and The Last Samurai (2003) among many others. Tom Cruise was born Thomas Cruise Mapother IV, the only son of four children to Mary Lee Pfeiffer and Thomas Cruise Mapother III, on July 3, 1962, in Syracuse, New York. His father worked as an electrical engineer while his mother was a special education teacher. He is of Irish, German, and English ancestry. Around the age of 9, the Cruise family moved to Ottawa, Canada after his father got a job as a consultant with the Canadian Armed Forces. There, he attended Robert Hopkins Public School where he first became involved with drama. For his sixth grade, Cruise attended Henry Munro Middle School but didn’t finish the year following his mother’s separation from her husband. Tom Cruise, his mother and three sisters; Lee Anne, Marian, and Cass, moved back to the U.S. where they moved around from city to city in search of some stability. During this time, Cruise attended a number of schools, 15 schools in 14 years to be exact. One of them was a Franciscan Seminary in Cincinnati, Ohio where he had hoped to become a priest before deciding to fully go into acting. His first role was a bit part one in the movie ‘Endless Love’ (1981) before appearing in a supporting role in ‘Taps’ (1981). He then went on to appear in ‘Risky Business’ (1983) which boosted his profile in Hollywood and helped him to land the role of Lt. Pete “Maverick” Mitchell in Top Gun (1986) to cement his status as a superstar actor. In 2017, Tom Cruise was named as the eighth highest-grossing actor in Hollywood following the successes of his movies which have raked in over $13 billion worldwide. The one-time highest-paid actor in Hollywood, who takes home around $50 million per year, is today said to have an estimated net worth of $550 million. Tom Cruise is currently not married, however, he has been married and divorced on three different occasions. His first was to actress Mimi Rogers who is best known for appearing in movies like ‘Someone to Watch Over Me’ (1987) and ‘The Rapture’ (1991). The couple tied the knot on May 9, 1987, in a ceremony in New York but, however, separated sometime in 1989 before finalizing divorce proceedings in February 1990. That same year, while filming ‘Days of Thunder’ (1990), Cruise fell for actress Nicole Kidman who he eventually married on December 24, 1990. The union lasted for eleven years before Cruise filed for divorce from his Aussie wife. Together, they adopted two children; Isabella and Connor Antony. Rumor had it that he had fallen in love with actress Penelope Cruz while shooting ‘Vanilla Sky’ (2001) which led to him calling quits on his marriage. The pair however dated for about three years before parting ways. In 2005, Tom Cruise began dating actress Katie Holmes. The pair got married a year later on November 18, 2006, in Bracciano, Italy, a few months after they welcomed their daughter, Suri, in April. The marriage lasted for over five years before Holmes filed for divorce in June 2012. Tom Cruise is unfortunately not blessed with height as he is just 5 feet 7 inches (1.7 m) tall. However, what he doesn’t have in height, he definitely makes up for it with his acting ability which puts him at a different height from his peers. 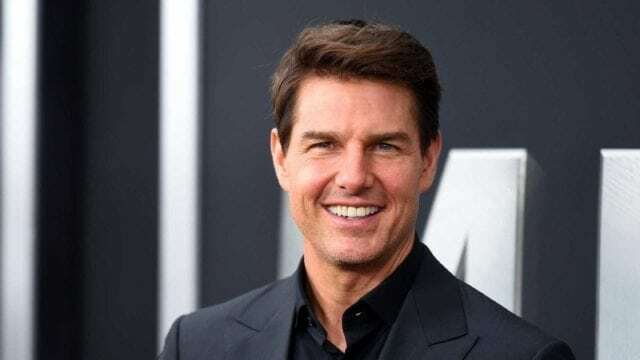 Tom Cruise is a member and advocate of the Church of Scientology which he joined in 1990 after being introduced to it by his first wife, Mimi Rogers. He suffered from dyslexia as a child. In Japan, October 10, 2016, was declared Tom Cruise Day by the country’s memorial day body because of the number of trips he has made to the Asian nation. Tom Cruise has been twice publicly accused of being gay which he vehemently denies. To prove himself, he sued both parties and won.